DK is proud to announce that it has revamped, refreshed and relaunched its award-winning Eyewitness Travel Guide series, keeping the views and experiences of its loyal readers at the forefront. Mike Degler, VP & Publisher of Prima Games: “We are thrilled to formally introduce our new Gaming and Pop Culture publishing line and we couldn’t be more excited to kick it off with WOMEN IN GAMING. We have worked with so many creative and intelligent women over the past 25 years, and this book is the perfect way to recognize their groundbreaking efforts in the gaming industry. 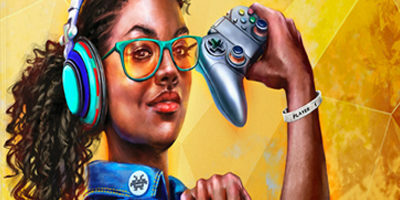 The book showcases a highly diverse group of women and features real-world advice that is informative and entertaining for all ages.” WOMEN IN GAMING illustrates how women have played—and will continue to play—important roles in the burgeoning video game industry. Containing interviews with 100 prominent and influential women, ranging from high-level executives to programmers to pro-gamers, Women in Gaming aims to highlight their impact on the gaming industry and reveal their lessons learned in the workplace. Some of the notable women featured in WOMEN IN GAMING include: Ashly Burch: Emmy-winning writer and voice actress; Carol Shaw: Early industry programmer, designer, and Industry Icon award recipient; Tracy Fullerton: Designer and director of USC Game Innovation Lab; Amy Hennig: Senior creative director and Writers Guild of America award winner; Emily Greer: Cofounder and CEO of Kongregate; Perrin Kaplan: Former vice president of marketing for Nintendo of America; Jane Ng: Senior game artist at Campo Santo; Patricia Vance: Longtime ESRB president and founder of the International Age Rating Coalition; Karisma Williams: Xbox and Oculus VR Senior UI/UX Designer; and Rebecca Heineman: Programmer and founding member of Interplay Productions In addition to profiles, several contributors also penned essays that further illuminate topics affecting women in gaming-related careers, including “Difficult Women: The Importance of Female Characters Who Go Beyond Being Strong,” “NPC: On Being Unseen in the Game Dev Community,” and “Motherhood and Gaming: How Motherhood Can Help Rather Than Hinder a Career.” Bonus features include a “A Day in the Life of” section, which provides an inside look at a typical day in the gaming industry across several vocations, including a streamer and a voice actor, and a “Character Spotlight”, which highlights favorite women game characters and their significance in popular gaming culture. WOMEN IN GAMING is authored by Meagan Marie, an industry veteran currently serving as senior community & social media manager at Crystal Dynamics, focused on the Tomb Raider franchise. The foreword writer for WOMEN IN GAMING will be announced at San Diego Comic-Con this July. The legion of Star Wars fans can rejoice. 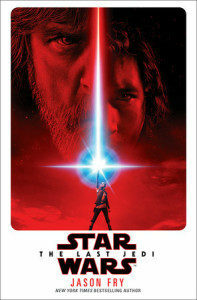 Not only does The Last Jedi movie premiere, at last, this weekend, but our DK Publishing and Ballantine/Del Rey/Lucas Books imprints are releasing a raft of new specially created tie-in books with Lucasfilm Ltd. to enjoy before and long after their attendance. 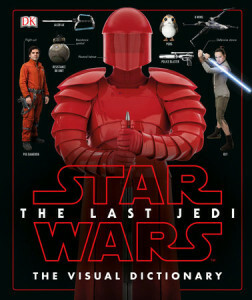 STAR WARS: The Last Jedi: The Visual Dictionary by Pablo Hidalgo (DK, 12/15) This definitive guide to Star Wars: The Last Jedi introduces the characters, creatures, droids, locations, and technology from the new film. Packed with 100+ images and information as penned by Star Wars scribe Pablo Hidalgo, who helps ensure consistency across a wide array of Star Wars projects, it’s a must-have for all fans who want to go beyond the movie experience. Pablo has written several DK titles, including STAR WARS: Rogue One: The Ultimate Guide. 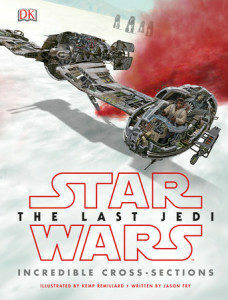 STAR WARS: The Last Jedi: Incredible Cross-Sections by Jason Fry, illustrated by Kemp Remillard (DK, 12/15) STAR WARS: The Last Jedi: Incredible Cross-Sections goes inside—literally—to show the inner workings of 13 vehicles from the movie. Each vehicle is illustrated in full-color by famed artist Kemp Remillard, complete with callouts by author Jason Fry to all the pertinent features of each ship. Accompanying comprehensive text make this one of the best reference guides for the new craft in the Star Wars galaxy. 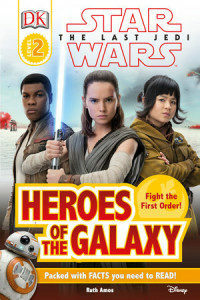 K Reader L2: STAR WARS: The Last Jedi: Heroes of the Galaxy by Ruth Amos (DK, 12/15) DK Reader L2: STAR WARS: The Last Jedi: Heroes of the Galaxy is a 48-page reader penned by DK Editor Ruth Amos, aimed at helping every child progress and become a confident reader. 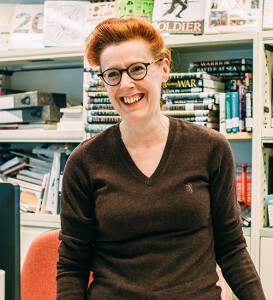 The story narrative is supported with interactive genre spreads and questions to encourage children to access information from a range of sources and develop comprehension skills. 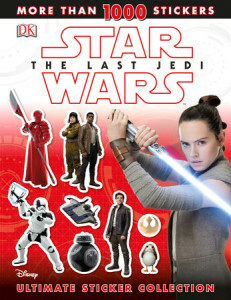 STAR WARS: The Last Jedi: Ultimate Sticker Collection by David Fentiman (DK, 12/15) The weird, wonderful, exciting world of STAR WARS: The Last Jedi comes alive with this Star Wars: The Last Jedi: Ultimate Sticker Collection. Featuring more than 1,000 stickers of new characters, creatures, aliens, droids, and ships, as well as free-stick pages to create new scenes, this Ultimate Sticker Collection will keep fans entertained for hours. 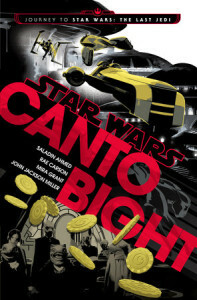 STAR WARS: CANTO BIGHT – Journey to Star Wars: The Last Jedi by Saladin Ahmed, Rae Carson, Mira Grant and John Jackson Miller (Del Rey, 12/5) Soon to be seen in Star Wars: The Last Jedi, welcome to the casino city of Canto Bight. A place where exotic aliens, captivating creatures, and other would-be high rollers are willing to risk everything to make their fortunes. 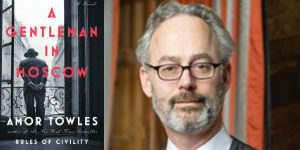 Set across one fateful evening, these four interconnected stories explore the deception and danger of the lavish casino city. In Canto Bight, one is free to revel in excess, untouched from the problems of a galaxy once again descending into chaos and war. Dreams can become reality, but the stakes have never been higher—for there is a darkness obscured by all the glamour and luxury. STAR WARS: PHASMA – Journey to Star Wars: The Last Jedi by Delilah S. Dawson (Del Rey, 9/1) Discover Captain Phasma’s mysterious history in this “Journey to Star Wars: The Last Jedi” novel. 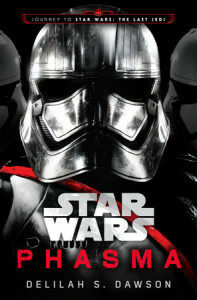 One of the most cunning and merciless officers of the First Order, Captain Phasma commands the favor of her superiors, the respect of her peers, and the terror of her enemies. But for all her renown, Phasma remains as virtually unknown as the impassive expression on her gleaming chrome helmet. 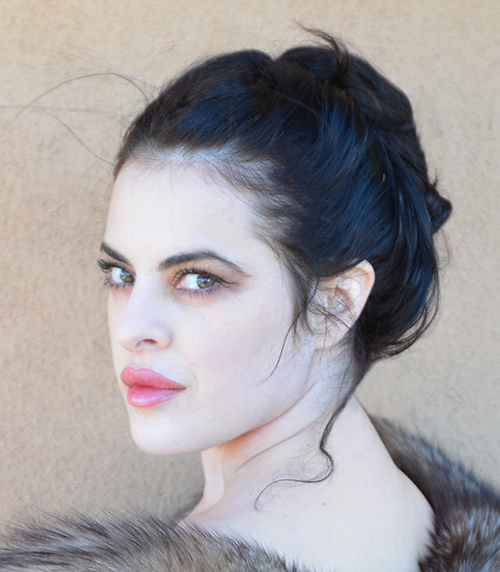 Now, an adversary is bent on unearthing her mysterious origins—and exposing a secret she guards as zealously and ruthlessly as she serves her masters. 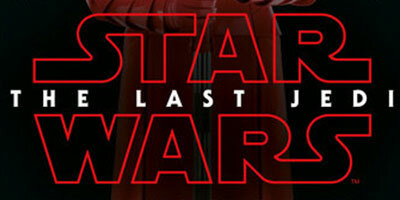 STAR WARS: The Last Jedi by Jason Fry (Del Rey, to be published 3/6/18) Rey continues her epic journey with Finn, Poe, and Luke Skywalker in this exclusive novelization of the new film, STAR WARS: The Last Jedi. 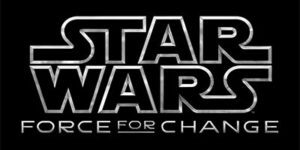 MAY THE FORCE BE WITH OUR STAR WARS AUTHORS AND PUBLISHERS. NBC TV’s The TODAY Show celebrates its 24th annual Toy Drive this month, and DK returned as a major donor, marking its 17th consecutive year of giving books to children in need. 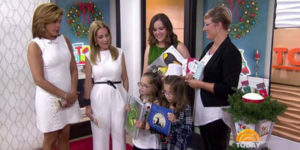 On Tuesday, December 5, during Kathie Lee & Hoda’s segment in the 10 o’clock hour, Editor Allie Singer announced DK’s 2017 donation of $1,000,000 worth of brand new children’s books. Allie was joined by Ava and Madeleine, the twin daughters of Simon Fraser, Vice President of Finance & Operations. The girls held up copies of some of DK’s lead holiday titles for the season: ANIMAL, 3rd Edition, GOOD NIGHT, BABY MOON and EXPLANATORIUM OF NATURE. 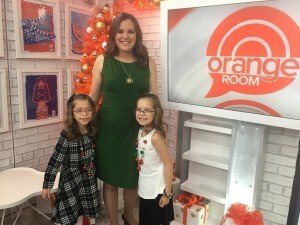 [caption id="attachment_8899" align="alignright" width="300"] Allie Singer with Simon Fraser’s twin daughters Ava and Madeleine[/caption] Through the Toy Drive partnership with The TODAY Show, DK has donated nearly $20,000,000 worth of books to date. 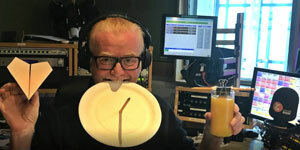 Click here to watch the DK TODAY show clip online. 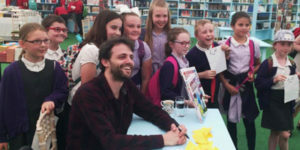 How did DK turn a book of science experiments from an unknown author into a winner of The Bookseller’s Marketing & Publicity Competition? By devising fresh and creative ways to reach potential readers. 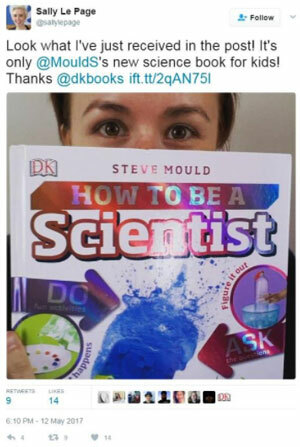 DK knew from the start that How to be a Scientist by Steve Mould could be a reader favorite, notwithstanding Mould’s lack of renown. 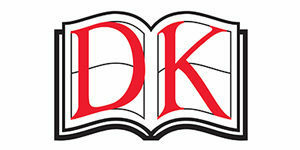 The book DK published was designed for children ages 7 to 9 to discover the skills it takes to become a scientist. To sell it, the DK Marketing and PR team devised a one-of-a-kind strategic campaign that would engage children and parents alike. 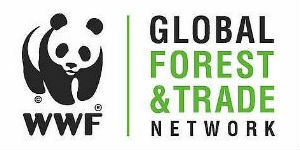 The World Wildlife Fund (WWF) Global Forest & Trade Network has been working with companies for over 20 years, with the mission to encourage businesses to source forest products from well-managed sources. 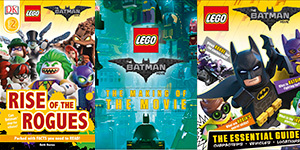 Rogues and The LEGO Batman Movie: The Making of the Movie (which goes on sale Tuesday, 2/14). View the page devoted to DK’s LEGO Batman Movie titles here. Younger movie-going and book-loving fans have the opportunity to become completely immersed in The LEGO Bat Man Movie experience. 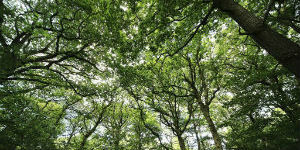 Here’s hoping that classic mantra “See the movies. 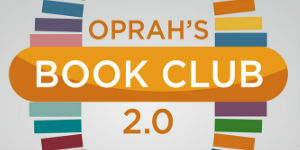 Read the books” will be a popular call to action these coming days. Watch The LEGO Batman Movie trailer from Warner Bros. Pictures here. 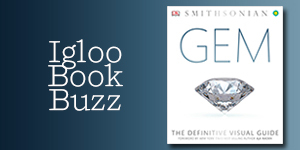 This week’s Igloo Book Buzz, DK’s GEM, features a foreword by New York Times bestselling author Aja Raden. 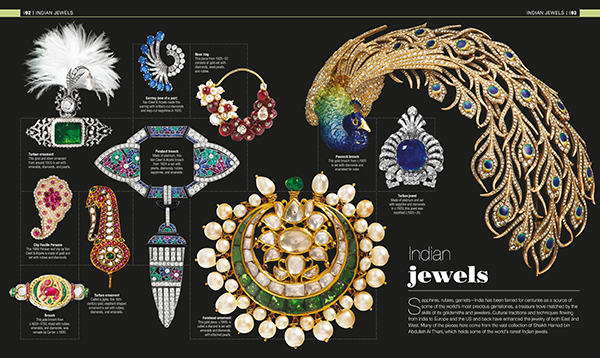 Published in association with the Smithsonian Institution, GEM is a stunning compendium of the world’s natural treasures—featuring a range of precious and semiprecious stones, metals, organic gems, and famous pieces from around the world—that weaves together specially commissioned photography to explain the science, history, and mythology around them.